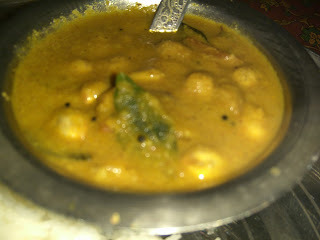 Here is the nostalgic accompaniment for hot steamed rice and chappatis, idlis and dosas and other south Indian dishes! 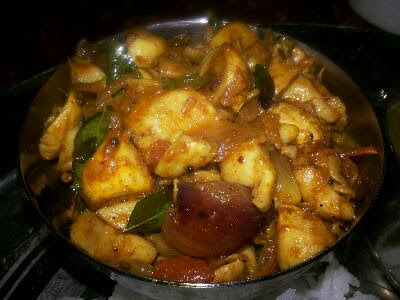 This is an all time favorite for kongu folks. They love to eat field fresh, raw groundnuts with jaggery. They enjoy the raw peanuts cooked with shells. They sundry the ground nuts and they roast the peanuts with shells with sand in a mud pan. The kids and adults enjoy the nutty nuts by breaking open the shells. These peanuts are the wholesome snack. One cup of raw peanuts contains 828 calories. They are enriched with the high profile of protein. They are rich in fiber 10% and saturated fat 12%They are the good source of copper, vitamin E Vitamin B1 and folate. It supports tissue health and good for the cardio vascular system. 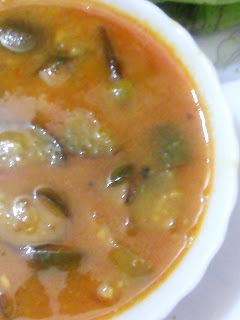 Kongu folks, hailing from the agrarian family enjoy as staple snack. They cook the groundnuts in various versions and serve. This recipe is one of their smart versions named as vaerkadalai curry kuzhabu. 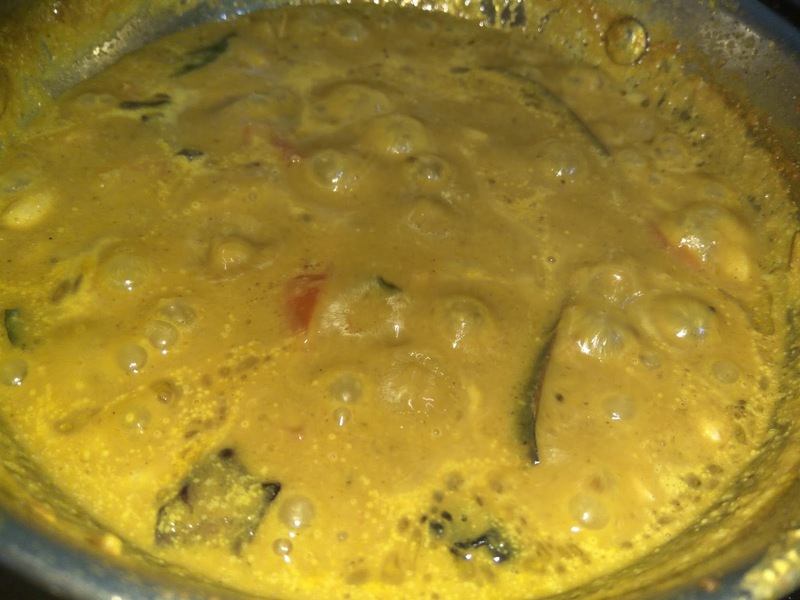 Fried gran one tablespoon for making this gravy or kuzhambu thick and delicious. 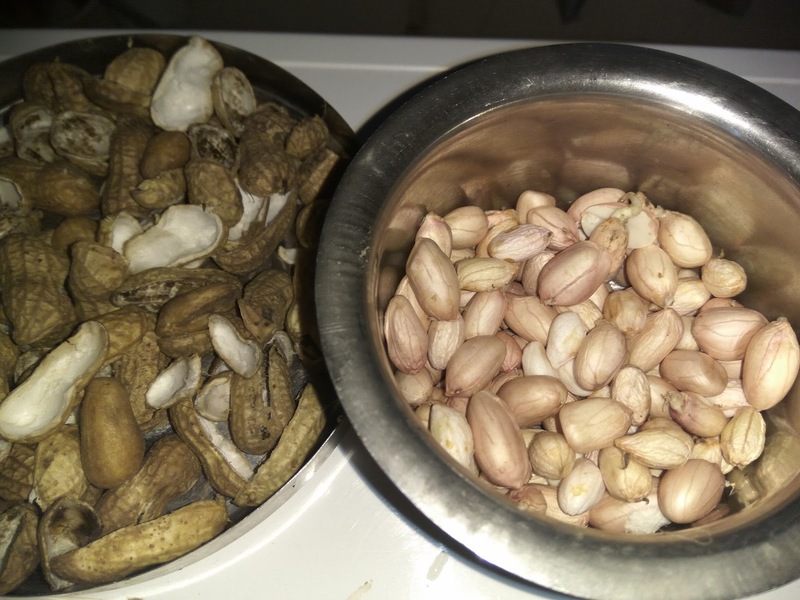 Break the shells and collect the groundnuts. Grind the coconut gratings, ginger garlic gratings, half tomato, fried Bengal gram with water to a fine paste. Add mustard seeds to splutter. add cinnamon sticks, cloves. Add onion and curry leaves and saute for a while. 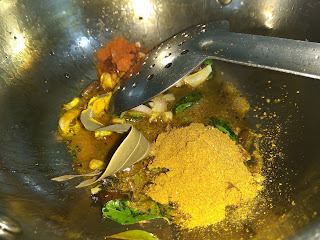 add turmeric, curry masal powder, red chilly powder, fennel powder and pepper powder. Let the flame be in the low level. 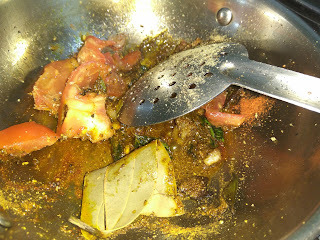 Add tomato and saute for a while till the tomato mashed and well cooked. 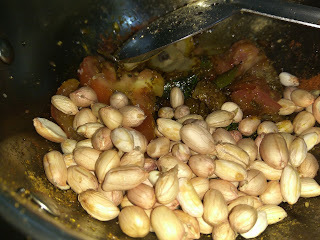 Then add peanuts and ground masala paste. 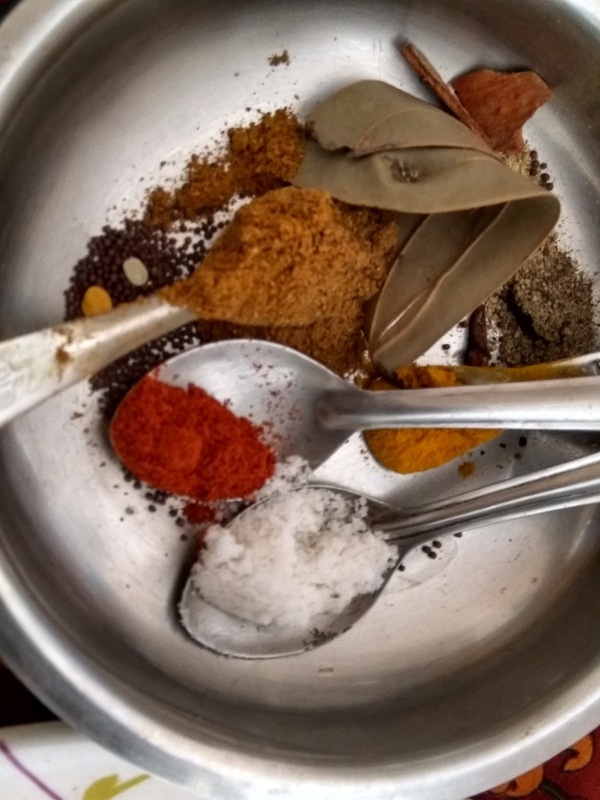 Adjust the ingredients with one cup of water. 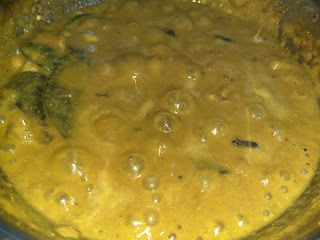 Allow boiling until the gravy texture with oil along the sides. 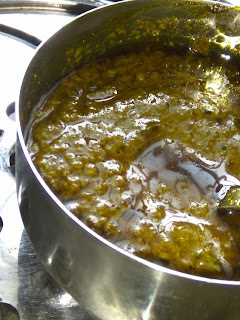 Garnish coriander leaves if available. 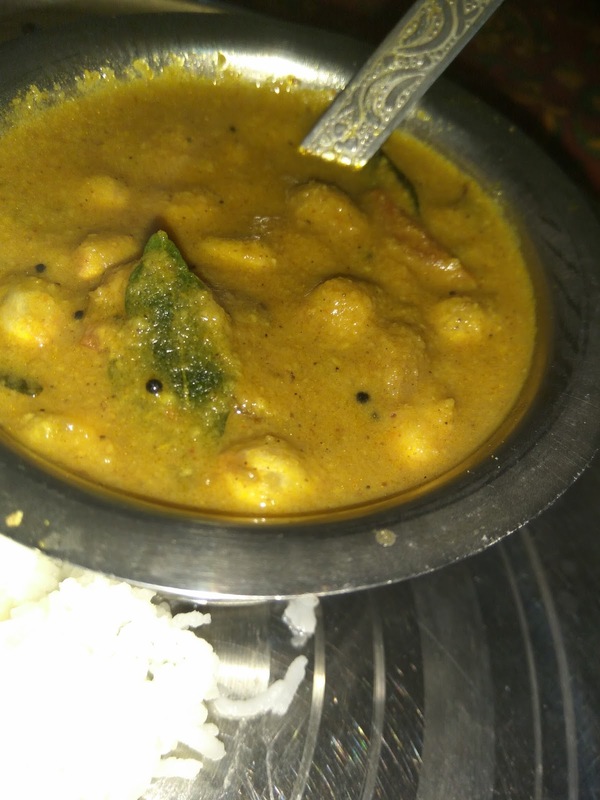 Now the raw groundnuts curry kuzhambu is ready to be served with hot steamed rice or chappathis, idlis and other South Indian main dishes.